Uploaded by Iriagbonse Osaigbovo on April 2, 2019. Uploaded by Iriagbonse Osaigbovo on February 8, 2019. Uploaded by Rita Oladele on May 11, 2018. First Histoplasmin skin sensitivity survey in Nigeria in decades (previous survey conducted in 1980s and restricted in geographical coverage). 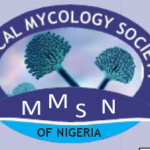 Histoplasmosis Study Group led by Dr Rita Oladele in collaboration with Profs Conchita Toriello, Philip Foden, Malcom Richardson and David Denning.